In the chapter "Create and edit color schemes" we describe how to highlight tasks based on given task details, e.g. tasks that belong to a job of a certain customer or tasks that are assigned to a certain resource or resource group. 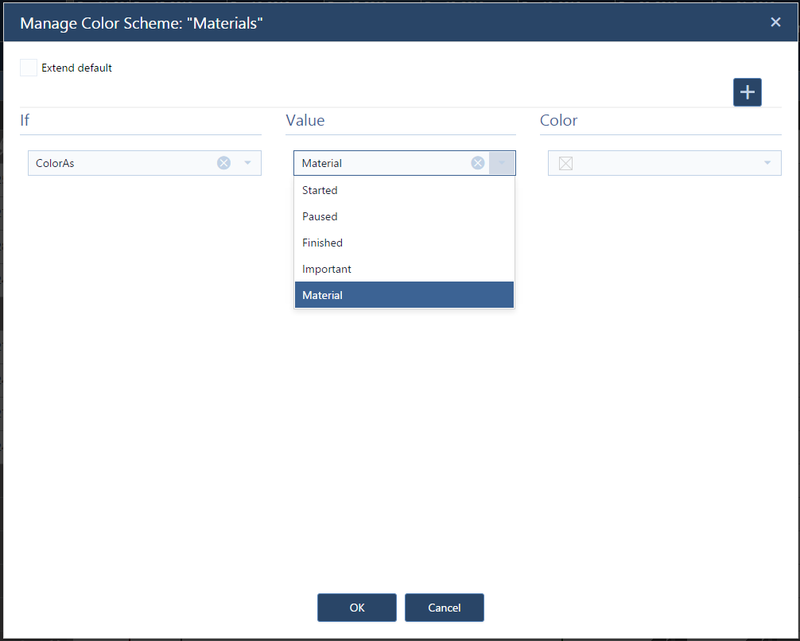 But what if you'd like to highlight special aspects in your plan that are not related to given task details and hence that are not offered in the "Manage Color Schemes" dialog? If you, e.g., want to highlight certain tasks that need a specific material or that need a special kind of treatment, you have to individualize the Color Scheme criteria. This can be achieved by the "color as" feature. 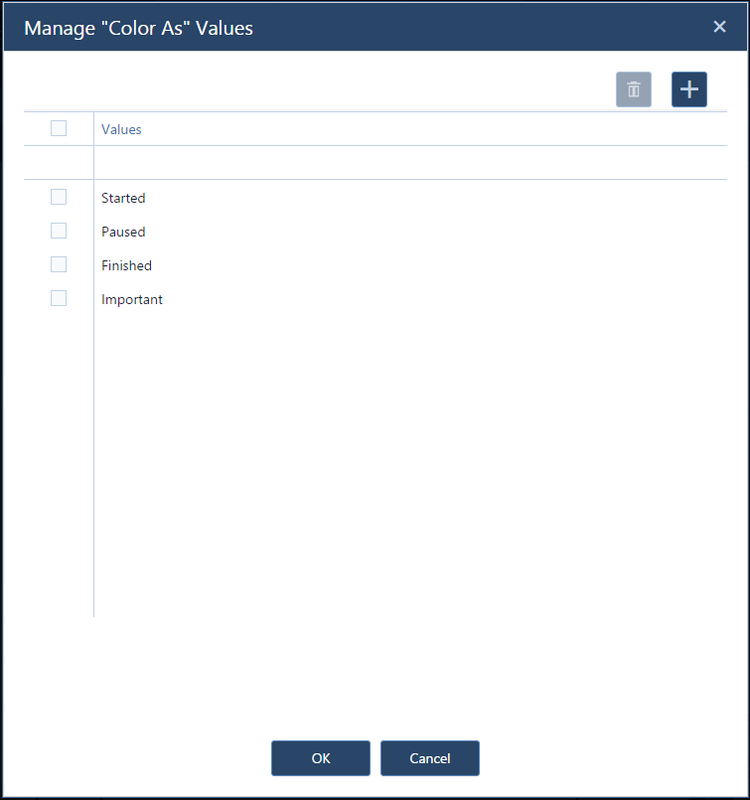 To create a "Color as" value, click in the "Color Schemes" dialog to open the "Manage Color As Values" dialog. 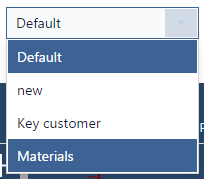 To create a new value, click and enter the desired name. Now that you have created a new value, you are able to select it within the Color Schemes and make it a part of an individualized Color Scheme. To do so, you either have to add your "color as" value to an existing (and suitable) color scheme or create a new scheme. In either cases, the proceeding will be the same. 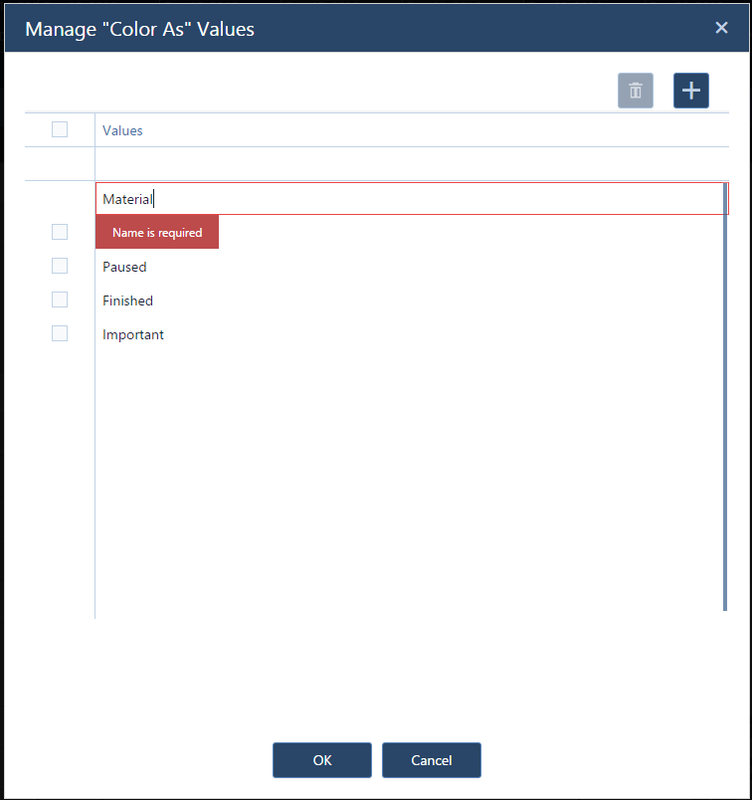 In the "Manage Color Schemes" dialog, you add a new condition, set the "If"-value to ColorAs, select the just created value from the extended drop-down list and assign a color to the new created value. After that all tasks that you assigned to the color as value "Material" will be highlighted in the selected color in your Gantt chart. Feel free to extend the "Color as" value list to as many criteria as are relevant for your production schedule. 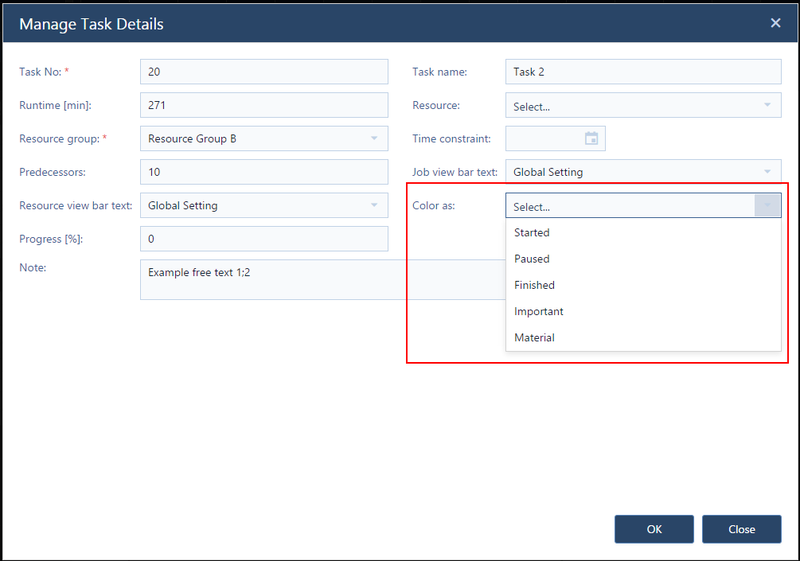 As soon as you extend this list, the corresponding drop-down list in the "Manage Task Details" dialog will extend as well.